Our Abpromise guarantee covers the use of ab25187 in the following tested applications. 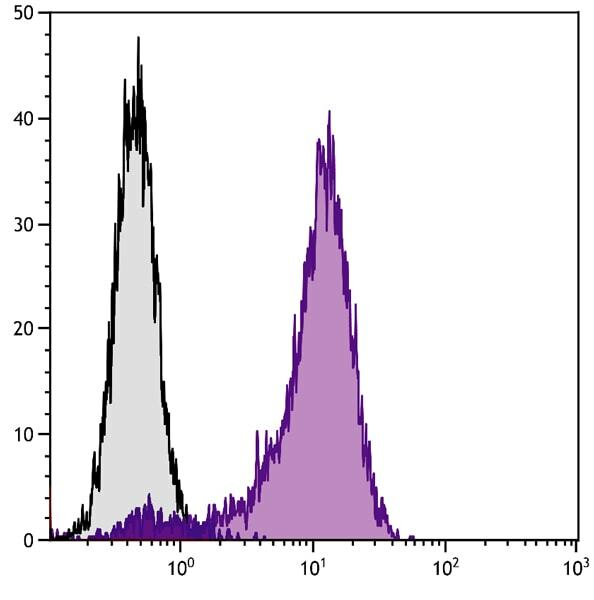 Flow cytometry analysis staining CD30 in NIH/3T3 and mCD30-Ig transfected 3T3 cells using ab25187 at a dilution of 0.1 μg/106 cells. Hamster IgG-PE was used as an isotype control. ab25187 has not yet been referenced specifically in any publications. Publishing research using ab25187? Please let us know so that we can cite the reference in this datasheet. There are currently no Customer reviews or Questions for ab25187.